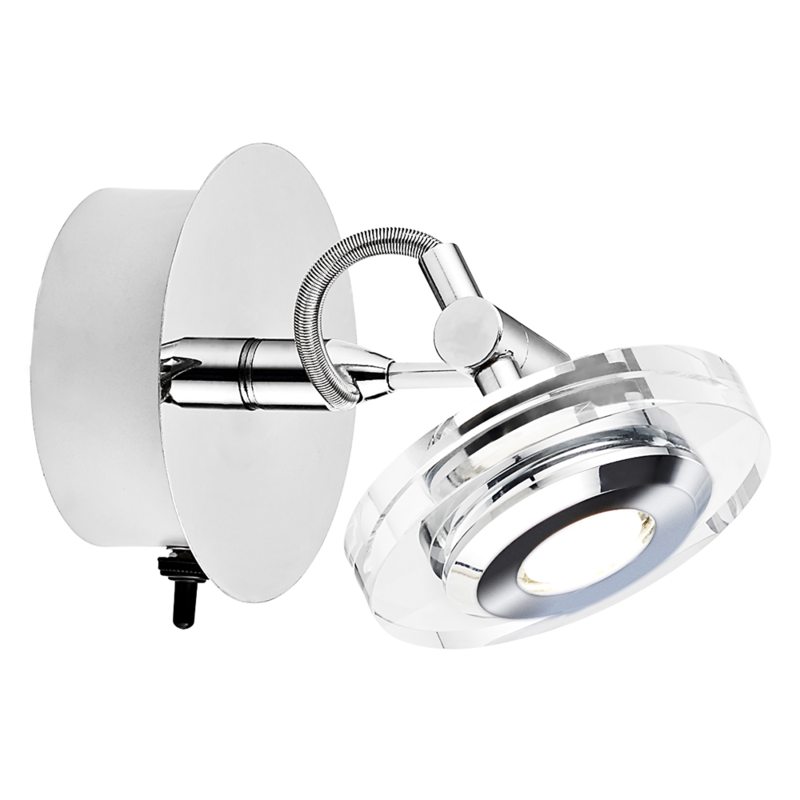 Stylish and contemporary LED powered polished chrome plated spot wall light fitting. Features transparent thick acrylic shade which is fully adjustable. Total product dimensions: Height - 14cm, Projection - 17cm, Width - 12cm. Includes 1 x 3watt (equivalent to approximately 25watt) 4000k LED - non-replaceable. Complete with 1 year guarantee with approximately 20,000 hours usage. The driver used is Eaglerise and the LED chip is Epistar. Strictly not suitable for dimming. Features on/off black toggle switch.